A well-known Bible teacher shares his own experiences to help you learn to love and live in a healthy manner. These inspirational tips will motivate you to embrace your relationship with God. Other seeds fell on good soil, and yielded grain — some a hundred times as much as was sown, some sixty times as much, and some thirty (Matthew 13:8 AMP). 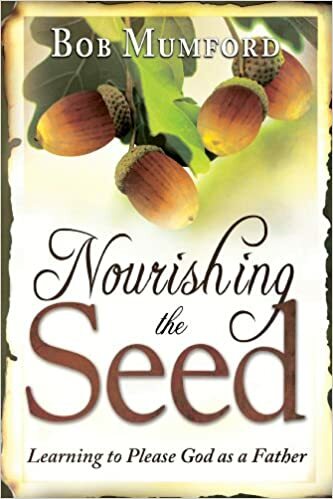 Nourishing the Seed is the result of well-known Bible teacher and author Bob Mumford’s spiritual walk with the Lord. You will come alongside his unfolding journey over the past 55 years of learning to love what God loves. Like his book Mysterious Seed — Maturing in Father’s Love, he passes along to you the bag of seed that the Father gave him. Understand Agape love as the mysterious Kingdom Seed that must be cultivated and nourished to grow and produce fruit in your life. Address the issues that keep that nourishment from happening. Thoughts and Questions at the end of each chapter provoke deep and inspiring introspection to form a more meaningful relationship with God the Father. Helpful diagrams and charts throughout also add depth of understanding. Nourishing the Seed is a compilation of powerful, daily, devotional-size teachings designed to move you spiritually forward. Rather than vague concepts and principles, these teachings will nourish the Seed that is growing within you — the serious believer — so that you can be unshakable and learn to love what Father loves.